It quite easy to succeed in life if you have a gift of attracting right people to yourself. The people you attract will provide you with effective demand for your goods and services. People will be attracted to you because you have something to offer which meets their needs. The people will love to associate with you because you add value to them. Your success in life also depends on how well you portray yourself in society. You have to follow the accepted norms of society. You have therefore to be careful on how you act and behave when the public is looking at you. Your acts can mess your journey to the world of success. Be careful of the implied message to the people who see your locked up cooking container on your stove. Some people may thing that you do not want to share what you are cooking with others. In life there are various tools you can use to overcome various challenge. If something is stuck in your teeth use a toothpick and not your nails. Do not clean the inside of your noise with your finger. People will avoid shaking hands with you if they come to realise it is a habit which you cannot stop . Sometimes we mistakenly thing other people love what we love. 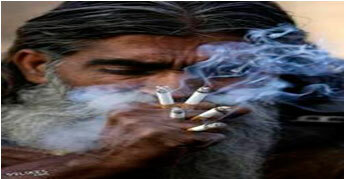 For example many chain smokers do not find anything wrong with smoking in public. They assume the public will understand them.